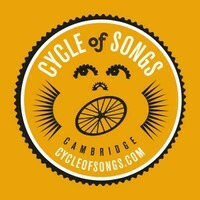 On Sunday 11th May the free public launch event "Sing Cambridge for Cycle of Songs" will showcase and celebrate Cambridge’s singing talent and diversity to launch the innovative and inspiring Cycle of Songs project, which will be taking place in the city on the 7th July to coincide with the visit of the Tour de France. From 2pm to 4pm, the Cycle of Songs project will be launched at Great St Mary’s Church, a wonderful location by the market place right in the heart of Cambridge whose community and singers are kindly hosting musicians and choirs from around the city to celebrate the commencement of the Cycle of Songs project. Musicians and choirs at the event will include Dowsing Sound Collective, ReSound, Chela the Cambridge Georgian Choir, Revelation Rock Gospel Choir, Sing! Community Choir, Sur Taal Indian Music and Dance, and importantly the host choir at Great St Mary’s itself. This event is the first of many opportunities to participate in Cycle of Songs - which will be taking place at various venues across Cambridge up to and including the 7th July - to mark the visit of the Tour de France Stage 3. For the 11th May launch, Great St Mary’s doors will be open to let the sound of singing reach those passing and entice the public to pop in and hear choirs sing favourite pieces from their repertoire for an afternoon of music with a relaxed festival atmosphere. There will be a live band & refreshments, plus family-friendly heritage activities will also be on offer at Great St Mary’s during the afternoon. Crucially, it will also be an opportunity for new singers to sign-up for a special free and open-to-all choir that will rehearse for June & perform in July - to join “The Cycle of Songs Choir”. Commissioned by Cambridge City Council and devised by the acclaimed Pilot Theatre and Historyworks, Cycle of Songs will feature a collection of songs which Helen Weinstein, the Producer, is developing with local choirs, schools, artists and members of the community in collaboration with some of the city’s leading composers, historians, poets and musicians. 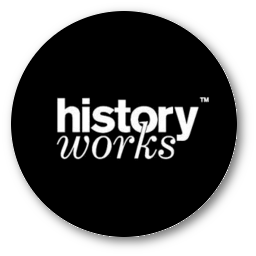 All of the songs are based on original source materials about Cambridge researched by Helen and her team, many telling hidden stories from the city’s history to celebrate the quirky and inspirational characters and creatives from the past in the present. An app will be developed to enable people to hear the pieces commissioned for Cycle of Songs alongside summaries of the stories that inspired them along the route, providing a lasting digital legacy for the city. The app will be launched on the afternoon of 5th July at the Big Weekend on Parker’s Piece from the Main Stage & Marquee, as part of celebrations for Stage 3 of the Tour de France Velo Festival.